This dramatic leaf hair clip replicates the beauty and charm of antique hair pieces. This fabulous antique silver tone hair clip looks just like a handed down heirloom. 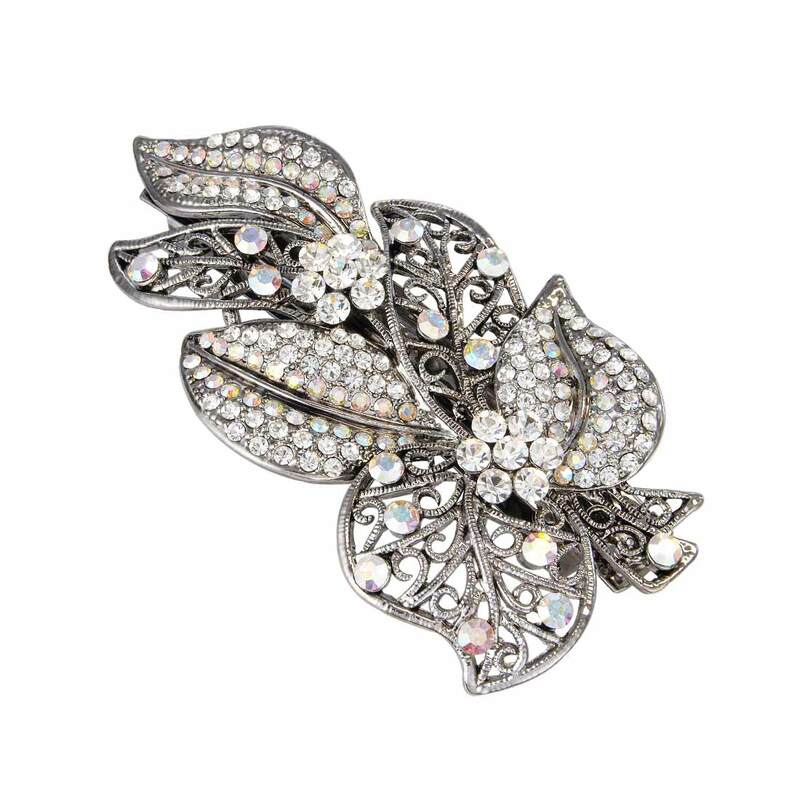 Featuring three leaves adorned with clear and AB Austrian crystals and three filigree leaves enhanced with random AB crystals and two petite crystal flowers, this is just stunning. A bold but versatile design, this exquisite hair clip looks divine worn at the side of the head to hold loose locks, placed off-centre in a tousled chignon or worn as a focal piece in a chic, simple up-do. This would also be a perfect wedding hair clip for brides who adore antique style.